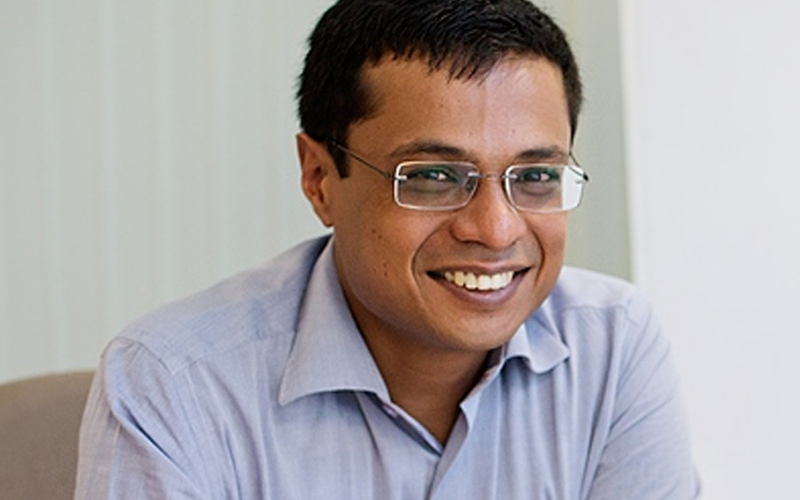 Flipkart co-founder Sachin Bansal is looking to raise a fund of $700 million to $1 billion for investing in startups, Mint reported, citing two people familiar with the development. Bansal may contribute up to 40% of the fund, the report said. It added that Bansal is looking to invest in and run an artificial intelligence startup. Bansal may take a final decision on his new venture by the end of 2018, the report said. Bansal is selling his stake in Flipkart as part of a deal in which Walmart is acquiring around 77% in the Indian e-commerce company for $16 billion (Rs 1.07 trillion). Meanwhile, online food delivery firm Swiggy is in talks with existing and new investors to raise around $250-500 million at a valuation of $2.3-2.5 billion, The Economic Times reported, citing three people aware of the development. Japanese telecom and internet conglomerate SoftBank, private equity firm General Atlantic and a couple of Chinese hedge funds were among the new investors that Swiggy had held discussions for the fund raise, the report said. In the new round, some of Swiggy’s existing investors may sell their shares in the company, according to the report. Swiggy has already raised two rounds of funding this year. In June, it raised $210 million (around Rs 1,400 crore) in a Series G investment round led by South African technology conglomerate Naspers and Yuri Milner-led DST Global. In February, it raised $100 million in Series F round that was also led by Naspers with participation from existing shareholder Meituan-Dianping. Swiggy’s main rival Zomato is in talks to raise $300 million from existing investor Ant Financial and Singapore state investment firm Temasek, the report said. In another report, The Economic Times said Manipal Health Enterprises is in talks with diversified Emami Group to acquire its AMRI Hospitals Ltd. Citing two people aware of the development, the report said Emami is seeking a valuation of about Rs 800-1,000 crore for the hospital chain. Avendus Capital is advising the promoters of AMRI on the sale process, according to the report. In January, VCCircle reported that Emami Group had held talks with private equity firms to sell a stake in AMRI Hospitals. However, a Emami spokesperson told the financial daily that they are not exiting the hospital business. Separately, Mint reported that private-sector carrier Jet Airways is looking to raise cash immediately by selling a stake. Citing two people aware of the development, the report said Jet Airways founder Naresh Goyal may sell some of his stake in the company as part of the transaction. As on 30 June, Goyal held a 51% stake in the company. Abu Dhabi-based Etihad Airways owns a 24% stake in Jet Airways. In a related report, The Economic Times said Jet Airways has informed its employees it will not be able to operate beyond 60 days unless it cut costs, which include employees taking a pay cut.